With spring invariably comes a flush of yellow in fields everywhere. 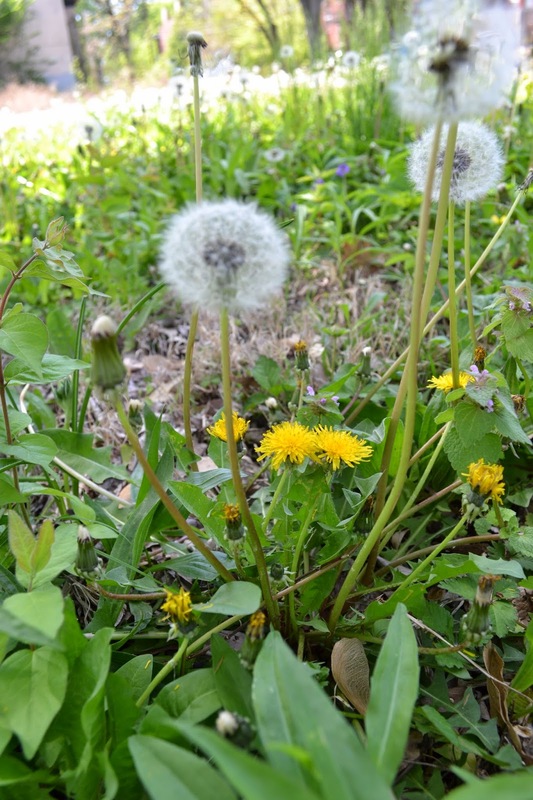 Despite poison and pulling and the tireless efforts of homeowners everywhere dandelions doggedly stick their little stalks and leaves up out of the ground. They're persistent and able to survive in soils in which garden plants couldn't even make room for a root. Along roadways, in vacant lots, and yes, in your grass, they thrive. We see commercials for killing sprays and men standing proudly surveying their dandelion-free lawn. Since homeownership became common in the 1950s the quality of you as a human being might likely be judged by how weed free you could get your lawn. Yet the dandelions still thrive. Today I'm here to proclaim loudly that instead of vilification this plant practically deserves its own holiday. Yes, you heard me! Dandelions are one of the most valuable plants in Chinese Medicine, appear in the Pharmacopeias of 4 European countries, and even pop up in the U.S. National Formulary. These maligned little plants pack a lot of healing help into all their parts. The roots, leaves, and blossoms of our dear Taraxacum officinale can all be used for food and natural beauty purposes. Dandelions are one of those abundant resources that we've simply become blind to over time. They have a fleshy taproot that can penetrate even tough soils. 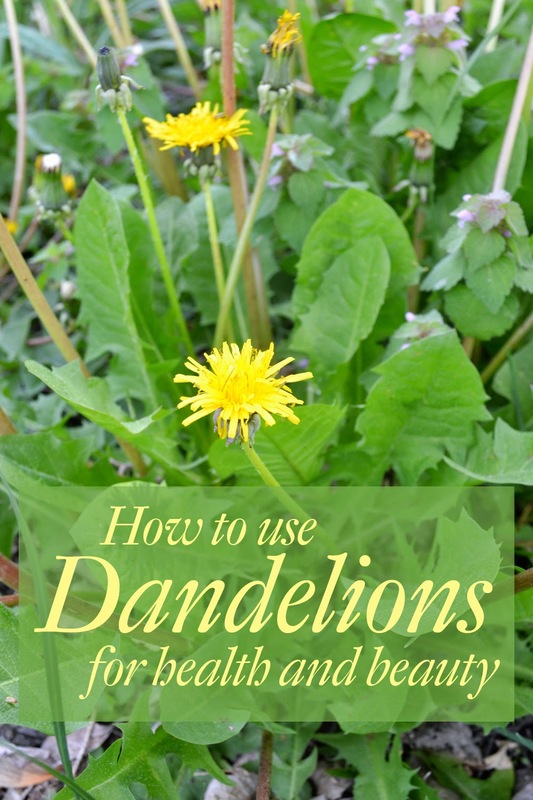 Many permaculture farmers and gardeners know that dandelions are not just good for people, they're good for the soil and other plants too. Their taproot goes deep into the earth to transfer nutrients from layers below to the shallow rooted plants that surround them. The taproot also punctures and aerates the soil, creating a way for water to infiltrate down even through hard soils. 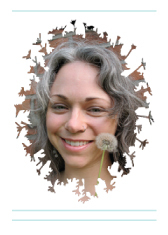 At a permaculture presentation I attended given by Mark Shepard he jokingly stated that there isn't a dandelion within 100 yards of his house on his farm because his family has foraged them all. It's free, healing food - doesn't get much better than that! Not to mention they're green and growing much earlier in the spring than most gardeners have crops ready. That's because they've been out there dormant just waiting for the warmth of spring so they can burst to life. While you're still waiting for even your cool season crops to get a foothold you can be munching on dandelions. The nutrient concentration abilities of the dandelion make it one of the worlds best foods nutritionally. That's why you might even see dandelion greens sold in your local organic market. This always makes me chuckle a bit because this would be one of the easiest plants for people to grow and use and yet they are paying beaucoup bucks for it a premium stores. If you live in a condo and have no soil to grow in you get a pass, but if you've got a yard then for heavens sakes stop applying herbicide and enjoy the health enhancing dandelions that will grow abundantly for you with absolutely no care and maintenance. Ignore them and they'll be fine. Water them and they'll flourish. The prevalence of greens in the spring is something I've seen many raw and locavore food enthusiasts discuss. Rhythmically it makes sense. In the winter one generally is eating a lot of preserved, starchy, and heavy foods. This would have especially been true in years past when we weren't shipping fresh foods in from South America in the winter. This can make the body and metabolism sluggish over time. Spring greens give the body a chance to detoxify, and dandelions are particularly adept at this particular function. They have compounds proven to cleanse the liver, stimulate bile production, and pull heavy metals from the body. They're very nutritionally dense as well, and an influx of vitamins is a huge boon to our bodies as we enter a very active, sunny season. Beta-carotene - Dandelions is the plant kingdom's richest sources of Beta-carotene which is then transformed into Vitamin A in your body. Vitamin K - Dandelions have 535% of your Rda of this fat soluble vitamin. It contributes to good blood flow and healthy blood vessels and may help to reduce bruising. Minerals - Dandelions contain potassium, calcium, magnesium, and phosphorous. The root is a particularly potent spot for mineral concentration. Tof-CFr - A glucose polymer found to act against cancer cells in mice. Pectin - This forms ionic complexes with metal ions, making it a prime compound of use in detoxifying the body of heavy metals. Coumestrol - An estrogen mimic that can help stimulate milk flow and balance hormones. Apigenin and Luteolin - These are flavonoid glycosides that have diuretic, anti-spasmodic, anti-oxidant, and liver protectant properties. Taraxasterol - This may contribute to liver and gall bladder health. For more details on many of these and further list see this fantastic article on the Leaf Lady. 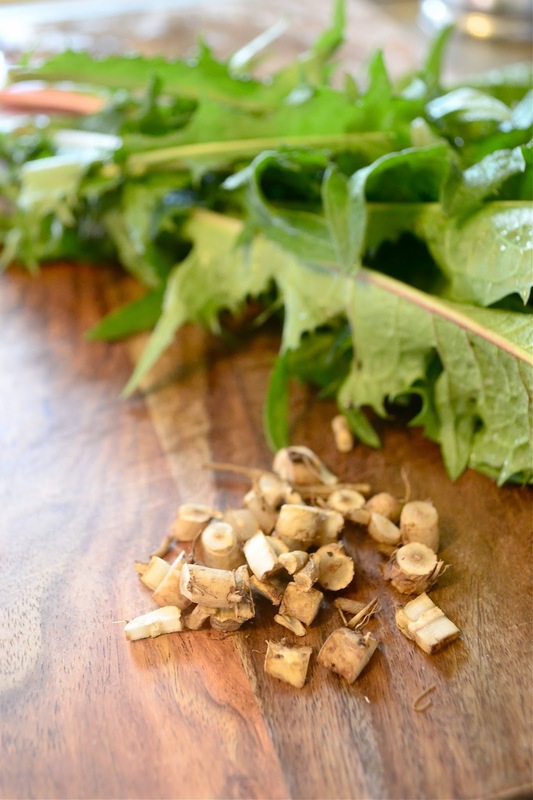 Find percentages of daily values in this nutritional breakdown of dandelion greens. To harvest dandelion from a wild place or your yard make sure you know the area hasn't been sprayed. If you're harvesting for leaves young plants will be the most tender and least bitter. If you want the root then look for mature plants early in the spring. They've stored nutrients in their root and that makes it a potent time to harvest. The soil is also loose from frost and will make your digging or pulling easier. If you have packed soil you'll need a trowel to dig in and loosen it before you lift. Pull from the base so it doesn't break off at the leaves. Once you've got your roots and leaves clean them up. The roots should be chopped and dried in a dehydrator or on a pan or screen in a spot with good air circulation. It may take 3 to 14 days for complete air drying. If you want to make dandelion "coffee" which is roasted then you can dry and roast the root at the same time. Place the well-chopped root on a pan in the oven at 250F. Place the oven door ajar to let moisture escape if you have a lot of root on your pan. A single layer is best and will roast most evenly. Stir periodically to prevent burning and to keep everything roasted consistently. The root will shrink considerably as it dries. As it gets dry watch it most closely toward the end as it can burn fast once there is no moisture left in it. The root will be a nice medium brown color when finished. To use dandelion greens you can incorporate them into salads and smoothies. The vitamin content will of course be highest if you eat them raw. The vein of the leaf is where a lot of the bitter flavor is so if that bothers you it is possible to strip the delicate leaf part off the vein, but of course that is a lot of work. If you chop them very fine and mix them thoroughly with your chosen dressing prior to adding them to the salad this will help mask bitterness. To put them in smoothies just substitute them for any existing greens in the recipes you have on hand and blend away! Of course I'm a big fan of eating for beauty, and all the nutrition in dandelions is going to definitely take great care of your skin. Detoxing your body and aiding your digestion will also be of huge help for your appearance. The better you digest the more nutrients your body can use from the foods you eat. We all want that inner glow which unfortunately becomes impossible if your digestive system isn't functioning well or is building up chemical metabolites. Unwanted chemical burden builds up in our bodies from exposure to environmental pollutants, pesticides, plasticizers, synthetic personal care, paint and coatings, and preservatives and additives in foods in addition to other sources like prescription medications. The liver does a big job of metabolizing foreign substances and enzymatically transforming them into compounds that are less harmful or can be excreted. Over time the byproducts of this process can build up in the body due to the liver being overworked and sluggish, or due to inefficient elimination. Even your body's own hormones are filtered through the liver. Therefore if your skin is having a hormonal acne freakout your liver might be someplace to spend some TLC. All this makes dandelions even more exciting because they support the healthy function of your digestive organs *and* detox your system. Hello glow! But it doesn't stop there. You can put them on your skin as well for healing benefit. An infusion of dandelion root yields a plethora of hydration balancing potassium and trace minerals. Minerals are one of the most overlooked components of good skin hydration and function. Most lines can talk your ear off about their vitamins and antioxidants but completely leave out minerals. 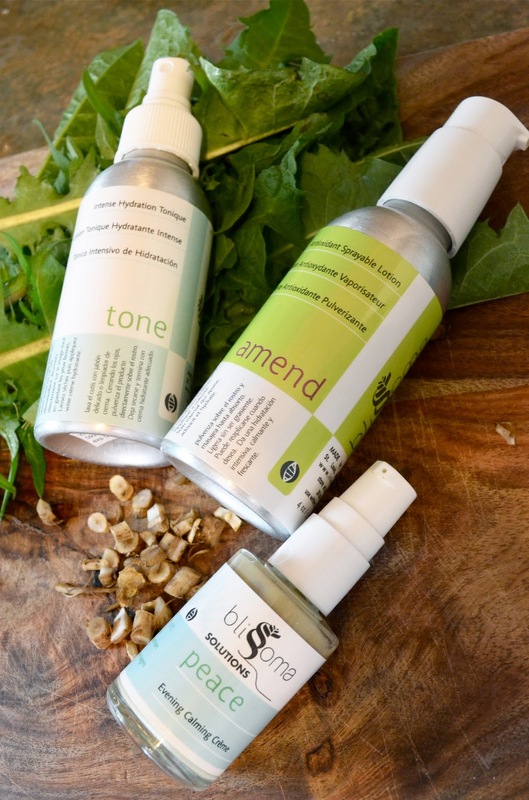 Blissoma has made sure to use mineral rich herbs and seaweeds in many of our products. They help regulate the water in the skin so you don't get puffy but still have comfortable hydration in all the right places. Dandelion is a wonderful source of potassium which is one of the most helpful electrolytes for maintaining good skin hydration and barrier function. 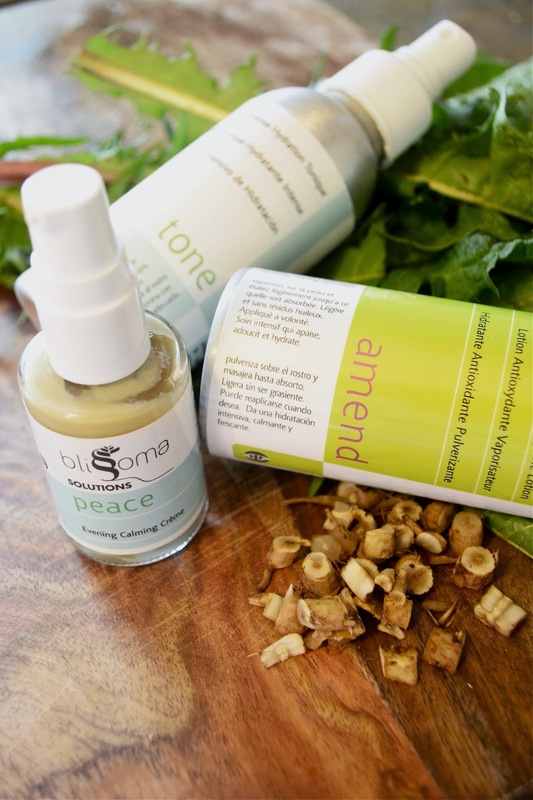 The inclusion of minerals is one reason our recipes like Peace Evening Facial Creme and Amend Antioxidant Lotion can be light and absorbent and yet so effective at helping the skin maintain good moisture levels. It's not just about the oils. This is also why we believe in products that contain water as well as oil. (Though we do love our oil serums!) Some folks may complain that products containing water are a waste of your dollars. The fact remains that minerals and many phytonutrients like the anti-inflammatory compounds and flavonoids in herbs like dandelions cannot be carried by oils. Minerals especially are water soluble and must be delivered through good old H20. So if you're using products with good quality, water-based herb extracts like our Tone Intense Hydration Tonique (which also includes dandelion and other soothing herbs) you're still getting all kinds of beneficial compounds - it's so much more than just water. If you can't gather wild dandelions then one great way to get them into your system is by drinking dandelion teas. Traditional Medicinals makes several good dandelion teas that are delicious to sip and will help support your digestive health, hormonal balance, and beauty of your skin. I highly recommend the raw, unroasted Dandelion Leaf and Root Tea for daily consumption. It's mild and almost sweet and super easy to brew - just pop the tea bag in hot water, wait 10 to 15 minutes and drink your dandelions down. The organic Everyday Detox Dandelion Tea features dandelion leaf and root as well as fennel, peppermint, and licorice. I personally love that anise-like flavor of the fennel and this blend is nicely done. One benefit to supporting a product like these is that they are Certified Organic, which means no doubts about toxins if you don't have a field near you that you're sure isn't polluted with pesticides or other problems. To celebrate the fabulous qualities of dandelions I also made a video on how to gather and use them. They're everywhere in the field that hosts Blissoma's community garden project and I'll never have to worry about having enough of my own - it's guaranteed abundance. Smile when you see that little yellow "lion" flower emerging defiantly from your lawn. Now you know all the good things it can do for you. Note - Traditional Medicinals kindly provided me samples of their teas to evaluate. I was not paid for my mention of them and all opinions are solely my own in the interest of helping people easily incorporate more healing plants into their routines. My favorite is freshly gathered and minced into a salad. Also finely shredded and in a blen of lemon, salt, evo and a few drops of fresh squeezed garlic. Let marinate 15 minutes or so.